We are pleased to announce today, the 25 November 2018 that the Reverend Frances Arnold, currently Vicar of Great St Mary, Sawbridgeworth in the Diocese of St Albans, has been appointed Priest-in-Charge of St Nicholas, Sutton subject to completion of the necessary procedures. Further details (including the date and time of the Licensing Service) will follow in due course. Frances worked as a secondary school teacher and in museum education (an Anglo Saxon monastic site and farm in Northumbria) before her ordination in 2004. She was inspired to explore ministry when living in Durham, steeped in the stories of the Northern Saints. 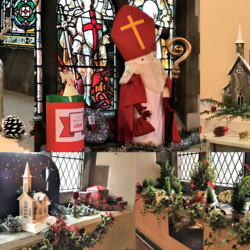 She moved south as a curate and has worked in parishes in Bedfordshire and Central London and in central church administration at Church House, Westminster. 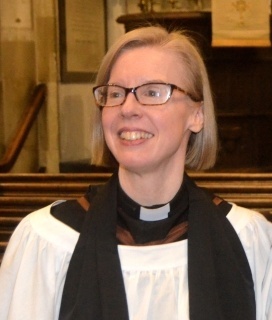 Since January 2013 she has been Vicar of Great St Mary Sawbridgeworth, Hertfordshire.